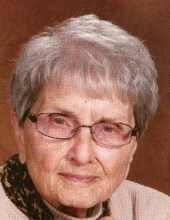 Rose A. Spoto, age 99, of Council Bluffs, passed away February 7, 2019 at Amelia Place in Council Bluffs. Rose was born August 2, 1919 in Council Bluffs to the late Antonino “Tony” and Salvatrice (Costanza) Spoto. She graduated from Abraham Lincoln High School in 1936. Rose was a secretary for the Internal Revenue Service for many years. She was a member of St. Patrick’s Catholic Church, Altar and Rosary Society, Memorial Choir, and Catholic Daughters of the Americas, St. Anthony Court #330. Rose also volunteered for the American Red Cross and Mercy Hospital. In addition to her parents, Rose was preceded in death by her sisters, Charlotte Leggio and Josephine Spoto; brothers, Victor and Joseph Spoto. Rose is survived by her sister, Mary Kelly of Alexandria, Virginia; many nieces and nephews. To send flowers or a remembrance gift to the family of Rose A. Spoto, please visit our Tribute Store. Followed by visitation with the family until 8:00 p.m. Luncheon at the church following interment. "Email Address" would like to share the life celebration of Rose A. Spoto. Click on the "link" to go to share a favorite memory or leave a condolence message for the family.